Consumer fraud and identity theft are becoming an epidemic in our communities. 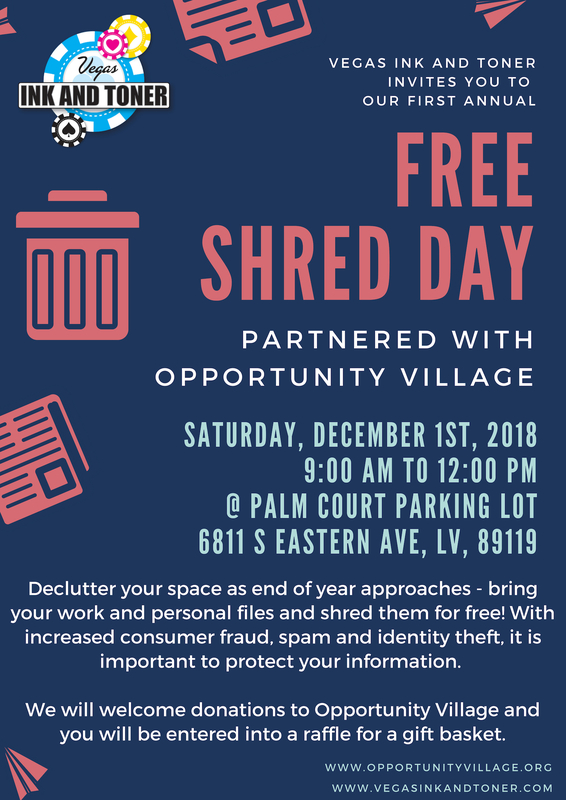 To raise awareness and promote privacy protection, Vegas Ink and Toner is partnering with Opportunity Village and organizing its first annual Free Shred Day, offering free paper shredding for our local residents and businesses. Join us on December 1st, 2018, from 9 am to 12 pm. Trusted secure shredding services will be provided by PaperPros on site – the parking lot of Palm Court in front of Vegas Ink and Toner office, located at 6811 S. Eastern Ave, Las Vegas, 89119. We will kindly accept donations for Opportunity Village for the coming holiday season and you will be entered into a raffle for a gift basket. Light refreshments will be provided. You are welcome to bring paper, ID cards, magazines, and paper folders for shredding, as well as empty ink/toner cartridges for recycling. The following items will NOT be accepted: X-rays, cardboard, binders, plastic sleeves, electronics, batteries. 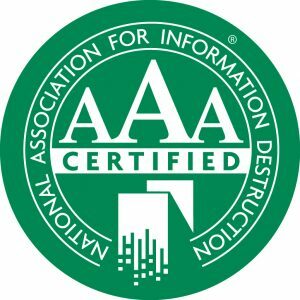 What happens to my documents after the Shred Event? When you arrive at the Free Shred Event, a certified document destruction employee will retrieve all boxes, bags, and containers from you and transfer them into secure, locked destruction containers. These containers are loaded onto the GPS tracked and locked truck. Once the containers have been loaded, the truck transports materials to the secured and gated shredding facility. All areas of the facility are under video surveillance 24/7 and footage is maintained for at least 90 days. State of the art shredding equipment exceeds both NRS and NAID certification requirements. Shredded documents are bundled and loaded onto a secure truck to be transported to a recycling facility for repurposing. All bundles/bales are tracked from facility to pulping mill. 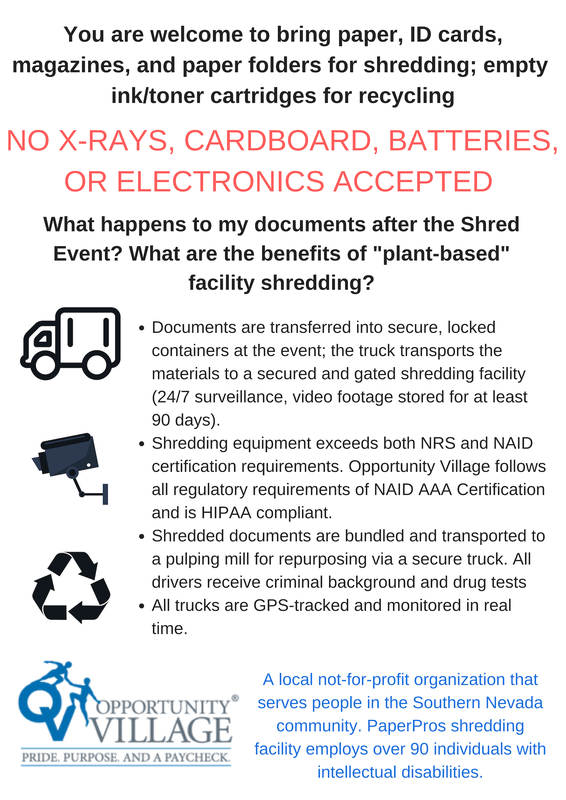 What are the benefits of “plant-based” facility shredding? 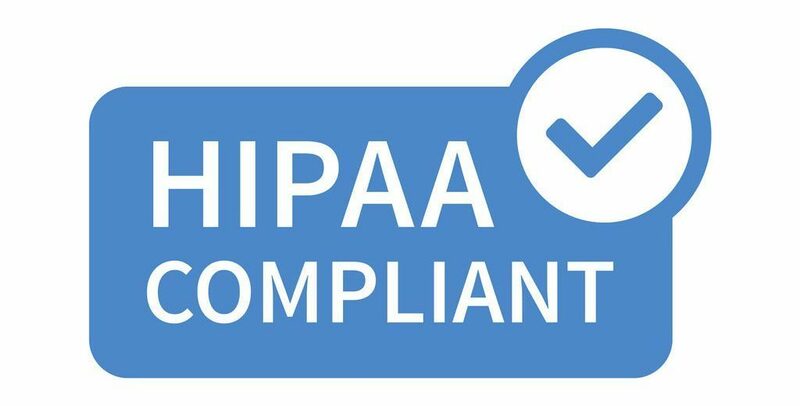 Opportunity Village follows all regulatory requirements of NAID AAA Certification and is HIPAA compliant. All drivers receive criminal background checks and drug tests. 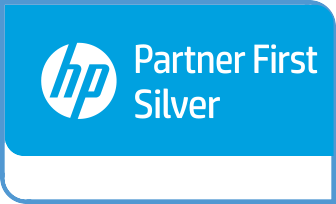 All trucks are GPS tracked and monitored in real time from truck’s speed to a record of each stop made. Plant-based shredding allows your documents to be repurposed to the full extent. At the plant, paper is sorted into B&W and color. GP Harmon’s pulping mill recycles the shredded paper into office paper, toilet paper, and paper towels. Opportunity Village is a not-for-profit organization that serves people in the Southern Nevada community with intellectual disabilities. More than just a charity, Opportunity Village operates 4 employment training center campuses and a Thrift Store. PaperPros Shredding is just one of the many ways they are able to employ disabled individuals and offer them valuable training for future employment in the community. Performing service contracts provides the individuals that they serve the ability to work and earn a paycheck in a safe and well-supervised environment. These business services also generate revenue for Opportunity Village that allows them to not only employ thousands of individuals in Las Vegas, but also to fund additional programs that they provide at no cost to the individuals and their families. Supporting Opportunity Village through Shredding services allows them to continue serving the mission of employing adults with intellectual disabilities while also helping the environment. They shred over 10 tons of paper every single day at their facility in Henderson, where they employ over 90 individuals with intellectual disabilities.